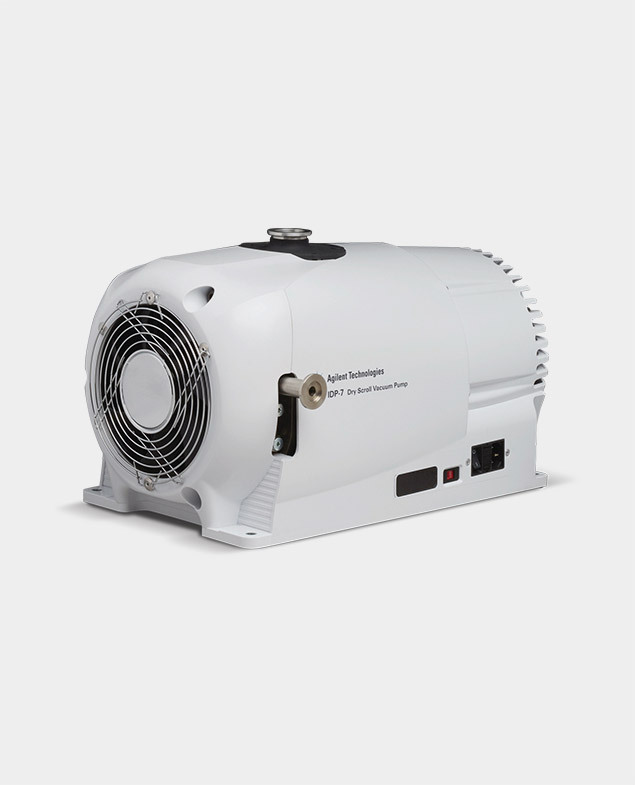 The Agilent IDP-7 is a compact, high performance, dry, scroll, oil-free vacuum pump, delivering large pumping speed capacity and simple maintenance. Provided with Inlet Isolation valve. Pumps designed for clean environments. 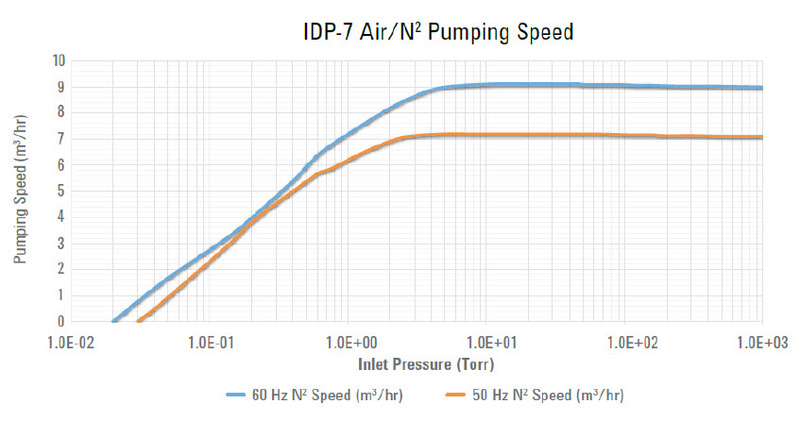 Oil-free pump eliminates the risk of contamination (oil hydrocarbons back streaming into the oven interior). The hermetic design, with the motor and all bearings completely isolated from the vacuum path, provides clean, dry vacuum. Oil-free pump eliminates need for foreline traps, mist eliminators as part of connection. Provided with Inlet Isolation valve. Maintenance: tip seal replacement each year or approximately 9000 hours of use. Air Cooled. Not designed for pumping hi-moisture, solvent applications. X3807-64010.